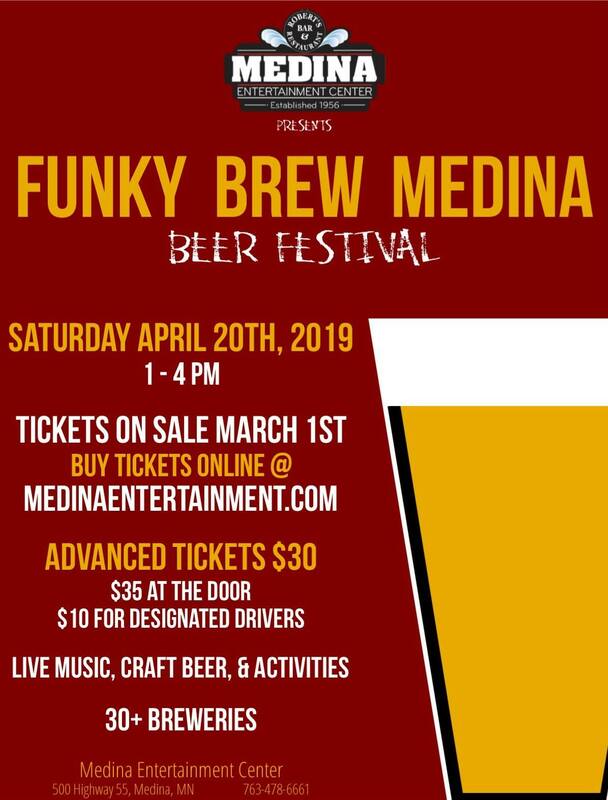 The 1st Annual Funky Brew Medina Beer Festival will be held in at the Medina Entertainment Center on Saturday, April 20th 2019 from 1pm–4pm. There will be beer samplings from 30+ breweries, and live music and other activities throughout the festival. Food from Robert’s Bar & Restaurant will be available for purchase! Find more info and purchase your tickets here, or visit the Facebook page.